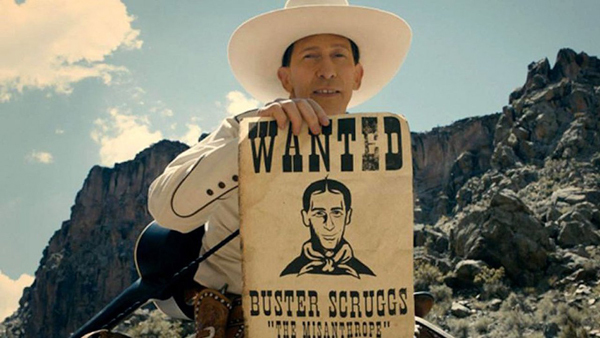 The Coen Bros. tell a series of weird, ironic wild west tales in "The Ballad of Buster Scruggs," a Netflix Original movie about death and fate. Tim Blake Nelson, James Franco, Tom Waits, Liam Neeson, Zoe Kazan, Brendan Gleeson and Tyne Daly are just some of the big stars who show up for this ambitious new bittersweet comedy. In his review of "The Ballad of Buster Scruggs" at IGN, William Bibbiani calls the film "one of [the Coen Bros.] finest films," which encapsulates "everything that fascinates them about the human experience."